French Prime Minister Edouard Philippe is to announce a suspension of fuel-tax hikes, a major U-turn in an effort to appease a protest movement that has radicalized, French media reported Tuesday. Both Le Monde and France Info radio said the planned increase, which has provoked riots, will be suspended for several months. Philippe is also expected to announce other measures aimed at easing tensions, just three weeks after claiming that the government would not change course and remained determined to help wean French consumers off polluting fossils fuels. It’s unlikely that Philippe’s announcement will put an end to the road blockades and demonstrations, with more possible protests this weekend in Paris. 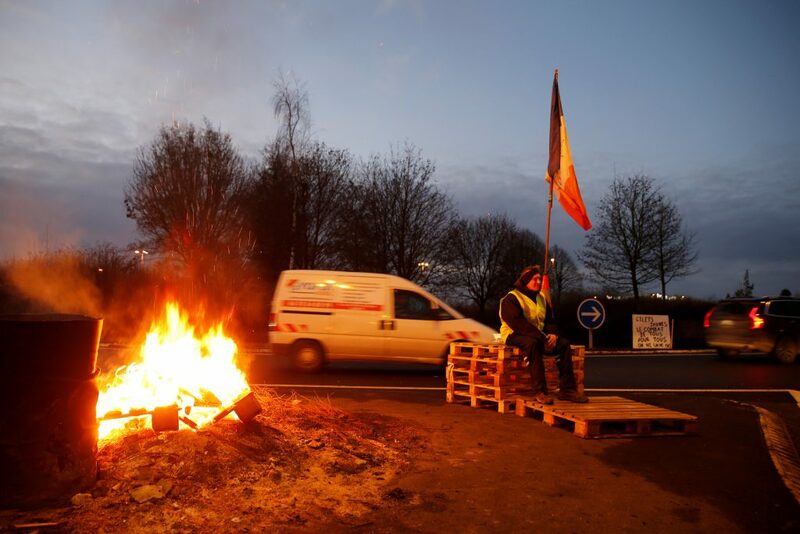 The protests began last month with motorists upset over the fuel-tax hike and have grown to encompass a range of complaints, with protesters claiming that Macron’s government doesn’t care about the problems of ordinary people. Since the movement kicked off on Nov. 17, three people have been killed and hundreds injured in clashes or accidents stemming from the protests. Over the past three weeks, protesters have been setting up road blocks across the country and their movement has garnered wide public support.